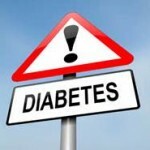 New type 2 diabetic molecular pathway identified. A new molecular pathway, called SIK2-p35-PJA2, has been identified in type 2 diabetes patients. The pathway is responsible for keeping low blood sugar levels low in obese people and people exhibiting symptoms of pre-diabetes; and acts as a preventative mechanism for diabetes. The pathway is regulated by a protein called SIK2 which is found in beta cells. After a meal, beta cells found in islets of the pancreas secrete insulin. The lack of production of enough insulin leads to diabetes. The researchers in this study found that mice who had the SIK2 protein removed secrete less insulin during feeding as they fail to turn off a switch protein called p35, which prevents insulin secretion when blood sugar levels are low. The research team also demonstrated that SIK2 works together with the protein PJA2 to turn off p35. ← Illegal Canadian GMO flax seed shows up all over Europe.